The two companies today sealed a partnership for global distribution of sensor technology to the oil and gas industry. By combining sensor engineering competence, domain expertise and technologies for effectively ensuring the lifespan of subsea assets, the partnership will support operators and vessel owners in reducing risk and operational cost. “We are pleased and excited about building a partnership with Ashtead Technology. They hold a world-leading position in providing offshore equipment solutions to the oil and gas industry, and we regard this partnership as a joining of forces to enhance our offering to the market and drive greater customer success. 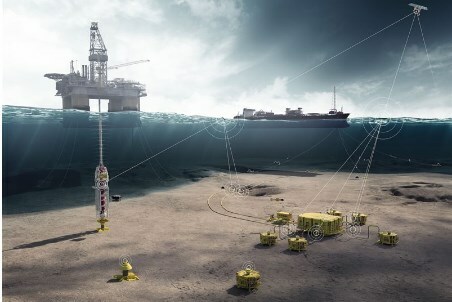 Ultimately we believe this partnership will support operators in reducing both risk and costs associated with operating subsea fields.” – Peter Jenkins, CEO of 4Subsea. “Our customers now have access to a leading innovator in offshore asset monitoring and integrity solutions. Adding 4Subsea’s autonomous sensor technology and services to our existing capabilities means we can now offer a comprehensive monitoring and integrity management service to support the performance and life extension of critical infrastructure.” – Allan Pirie, CEO of Ashtead Technology.